Bo and Mark anticipate a summer of fun when a strange rip in the sky spews escaping renegades and pursuing Hunters into Earth’s atmosphere setting off a catastrophic string of events that will change the world. Can Bo and Mark learn to adjust to the change in time to save Bo’s little sister Eden? Or will Dragen, leader of the Renegades, find her first? 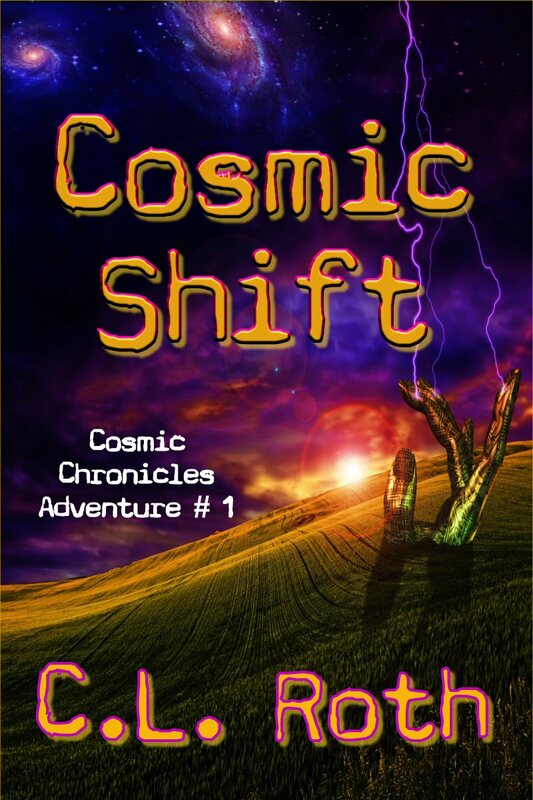 Cosmic Shift is a fantasy for kids geared to Middle School readers but also enjoyable for all ages. Adults like it too. Thank you, Wendy. You’re always at the top of my list. I’ll make sure you get a heads up on everything I do. Is am not a middle age reader but as an adult I can truthfully say that I enjoyed the book and couldn’t put it down until I finished it. Now I am waiting for the second book. I may not be a kid b ut I enjoyed it like a k9id. Keep them coming. Sharon, thank you for the comment. Cosmic Chaos is on its way and should be available sometime this fall. I’m working hard on it.